More than 3,000,000 Australians experience depression or anxiety and most commonly these are aged between 16 and 64 years – our working years (Heads Up 2014). 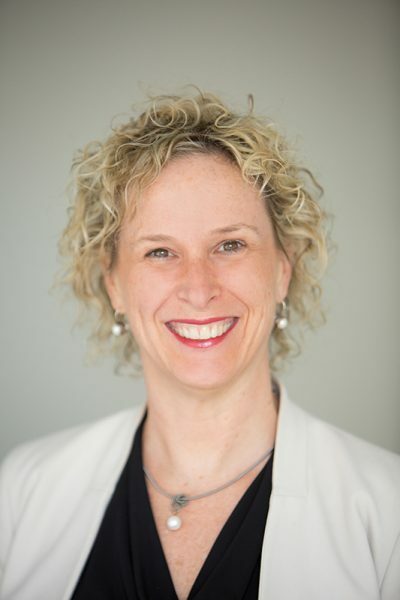 Margo Lydon, CEO, SuperFriend will be presenting a keynote on the importance of psychologically healthy workplaces for everyone at the upcoming Workplace Wellness Conference. Prior to the event, we reached out to Margo Lydon for a short interview as given below. 1. Why do you think we need to raise more awareness for psychologically healthier workplaces and what do you think are the main challenges for today’s Australian workforce? Every employee and every business benefits from being a mentally healthy workplace. The business case is well articulated and confirms benefits to the health and wellbeing of employees, reduction in costs (such as absenteeism, presenteeism and turnover) and the increased opportunity for profitability derived from improved engagement and productivity. Apart from the legal requirement under the work health and safety laws, it makes good business sense to provide workers with good work and a good work environment. It is incredibly important that employers understand that this is not just about supporting those employees with diagnosed and disclosed mental illness, but investing in a whole of business, integrated approach to improve the health and wellbeing of ALL employees. Statistically we know that 1 in 5 Australians will experience a mental illness in any 12-month period. What we believe is critical, is that employers need to support those people experiencing mental illness, as well as every other employee – i.e. the 5 in 5 Australians who go to work every day. The benefits of taking this broader approach, and it being whole of business and integrated, is that everyone benefits. It helps the individual and the business to thrive. Some of the known barriers to creating mentally healthy workplaces are that many employers tell us that they want to do something, but they don’t know how or where to start. Workplace mental health and wellbeing is complex, but it is not hard. It requires in the first instance, the employer understanding what they are already doing, looking for the gaps and the areas to improve, and taking steps to address those. We advocate strongly for co-creating solutions and interventions with employees to increase the opportunity for sustainable change and buy-in. We also advocate for evidence-informed practices, policies and procedures. Some employers cite the costs and time as other challenges for addressing psychological safety and wellbeing. In our experience, many of the ‘interventions’ can be, and should be, incorporated into business as usual activities and do not necessarily cost a lot. 2. What are the key takeaways of your presentation at the Workplace Wellness Conference this September? My presentation at the Conference will provide the audience with insights into the key indicators for a thriving workplace, including where Australian workplaces are doing well or not so well. I will be presenting the key findings based on the 2017 national survey (Indicators for a Thriving Workplace – A work in progress) SuperFriend conducts each year. This survey will give the audience insights about how size of organization, role, and various industry differ in their progress towards providing thriving workplaces. I will also be sharing practical examples of how employers have improved their own workplaces and helped their employees strengthen their mental health and wellbeing. Finally, I shall be sharing some of the latest tools and policy changes that will be shaping the Australian workplace landscape into the future. 3. What are you most looking forward to discussing at the upcoming Workplace Wellness Conference this September? Conferences should be thought provoking and inspire change. Therefore, I am most looking forward to sharing the real, tangible and practical actions, based on the latest information and evidence, that Conference delegates will be able to take back to their business and implement. Margo Lydon’s presentation at the Workplace Wellness Conference will look at the legal framework surrounding mental health, WHS, Discrimination, Privacy and Fair Work implications. Running concurrently with the Safety in Action and Return to Work Conference, is the third annual Workplace Wellness Conference. This year’s program will hear from industry leaders identifying strategies to enhance the mental and physical wellbeing and productivity of the Australian workforce. From state initiatives to stress management and promoting healthier lifestyles, this conference will focus on the best-practice case studies in Mental Health & Wellbeing. With the three conferences running in adjacent rooms, you will be able to switch sessions and plan a track to suit your requirements.